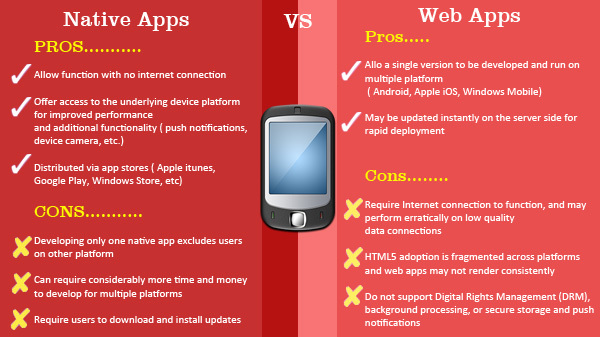 Native mobile applications provide the best usability, the best features, and the best overall mobile experience. Native Apps make full use of the features and functions available with the device. With increasing penetration of smartphones, mobile browsing and BYOD trends, there is tremendous benefits to offer native mobile and tablet apps not only for consumers but also Enterprise Users. 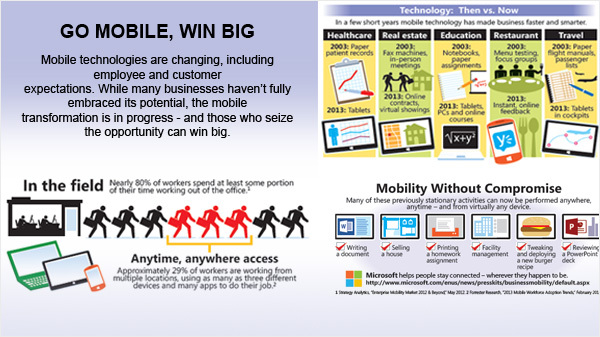 Enterprises across the globe are realizing that the audience for their business applications have shifted in massive numbers from the use of traditional desktops and laptops to mobile devices, smartphones and tablets. Users are demanding enterprise apps to work with the same rich user engagement experience as popular B2C mobile apps, thus giving them the power to access information instantaneously on their mobile devices and on-the-go. Sysfore designs and builds custom native mobile applications on the Android and iOS mobile platforms for customers. Sysfore has a team of skilled mobile app developers, offering full service design and development of iPhone, iPad, and Android apps. Whether it's a business application, an innovative new concept or even a 2D game, we have the expertise to cost effectively build your app. 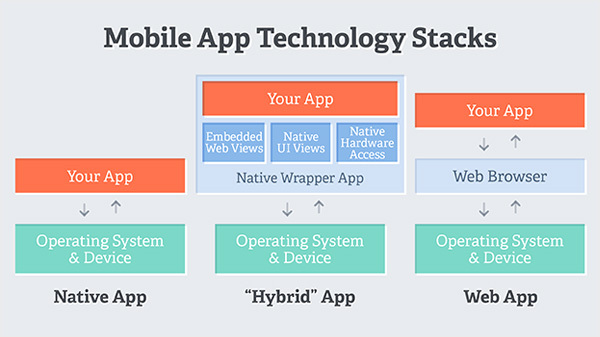 Native apps are developed on platform specific integrated development environments (IDE). We use Xcode and Objective-C with iOS and Eclipse and Java with Android. Native Apps that exploit device capabilities like Camera, Calendar, Contacts, Location, etc. We specialize in iOS and Android application development for enterprise (B2E), B2B and B2C needs. Enterprise business applications would be like field support apps, sales force automation, productivity apps, etc. We also develop custom B2C apps for customer engagement. Our team capabilities include development on iOS and Android platforms, mobile UI interface design, server side development, deployment and distribution on app stores and continued maintenance and upkeep. There are ample benefits in developing native mobile apps instead of responsive web apps to serve your mobile customer's needs. The cost-benefit trade-off will depend largely on your specific market situation because developing native apps are costlier and more laborious than making do with a responsive mobile web application. Built-in Components, allows the capability to use device functions to full extent; like the GPS based location services, Camera, Bluetooth, Address Book, Calendar, Storage etc. Ability to work in off line mode with full functionality. We currently have native mobile application development capabilities on the Android and iOS platforms. Our skillets for Android development include Java, Android XML, Android SDK, and using the Eclipse IDE. 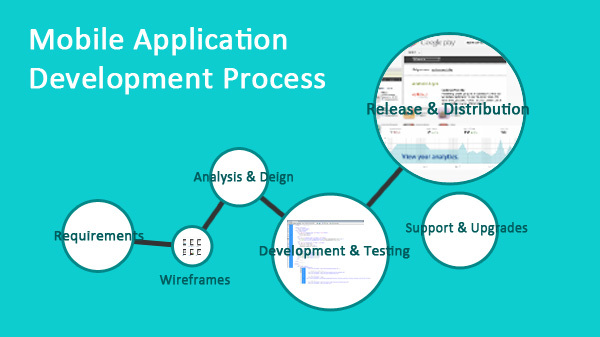 For development on the iOS platform, our skillets include Objective-C, Xcode and the iOS SDK. 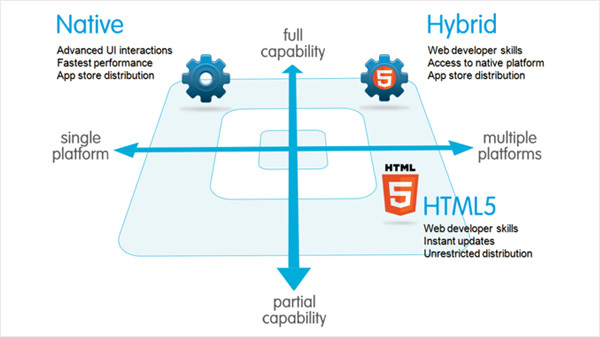 When choosing between having to develop a Native Mobile Application vs a Hybrid or Mobile-friendly Web App, there are several factors that come in to play, depending on a customer's specific needs. There are benefits and constraints with choice of either, and the applicability of each will have to be weighed against the customer's requirements. Requirements Consultation & Scoping - understand needs, audience, environment, and define features, UI specs and scope. Project Commercials Finalization - Project Cost & Time Proposal, Contract Sign-offs. Wireframing / Prototyping - app features and functionality translated into a user interface architecture, non-functional prototype. UI Finalization - finalize visual design and UI elements and style. Testing & QA - an over-the-air-distribution tool, send out builds to customer for periodic review / acceptance testing. Customer registers their device and installs latest build when we release. Is same as downloading from Apple App store or Google Play Store. Release & Distribution - We facilitate the release of the application and provide subsequent updates if subscribed to a Maintenance Plan.